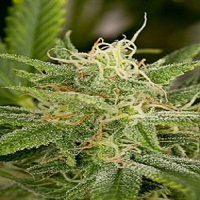 Respect 4 Gorilla Feminized Marijuana Seeds by Expert Seeds: We wanted a GG4 with higher CBD production, Respect offered us a very robust 50/50 Indica Sativa strain enabling us to reach and achieve this goal. 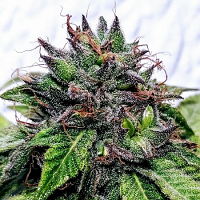 Also an early finisher for a CBD strain which is 50% Sativa, as early as 55/60 days flowering, and you have yourself a very funky CBD Gorilla Glue4, lots of medicine will be harvested from this commercial performer which delivers exceptionally high yields. This creative and highly energetic stone combines feelings of uplifted mental energy with euphoric stimulation for enjoyed motivation. Medical Benefits: Relieves Nausea, Stops Pain, Improves Appetite, Anti-inflammatory, Psychiatric Symptoms, Cancer.